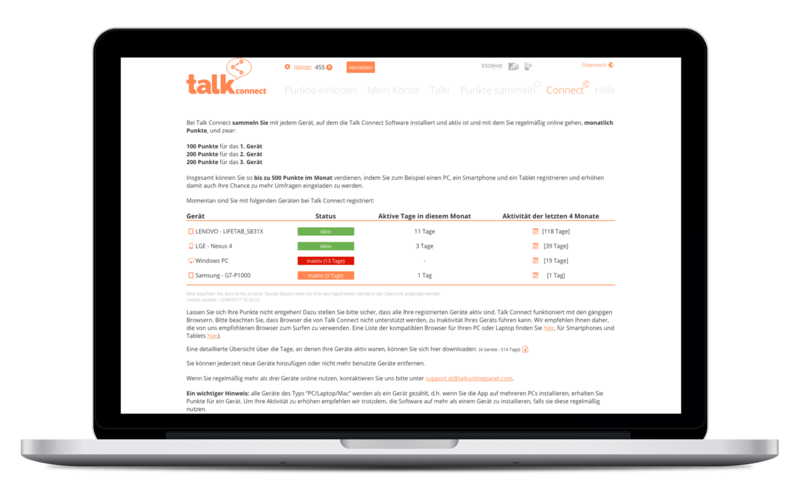 For the online panel provider Talk Online Panel we developed branding, back and front end for "talk.connect", their module for tracking and behavioral data. With Talk Online Panel internet users can earn money with online surveys. Participants of talk.connect earn money and points by installing a tracker on their devices, that records visited websites and online services — anonymously and securely.